so be sure to sign up soon! HOW IT WORKS: CSA members receive a weekly share of the best our farm has to offer, at a discount over farmers market prices. Each week, we'll set up a market style display of what's fresh and in season on the farm. You bring your own bags or boxes to fill. Each share includes a mix of 7-8 different vegetables plus a 1/2 pint of berries and/or a some fruit most weeks, depending on what's ripe. You can swap out items to suit your own taste. The quality, taste, and diversity of our produce each week is something we are truly proud of. WHEN & WHERE: Our CSA runs 20 weeks from mid-June to the end of October. 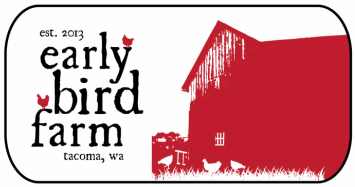 Tacoma area customers can pickup on the farm, on Thursdays, anytime after 11am. We are a 12 minute drive from downtown Tacoma or Puyallup. Sorry, we no longer offer CSA pickup at the Capitol Hill farmers market. You can still shop our stand every Sunday! WHY CHOOSE US? Our market style pickup means you'll meet the farmers every week and chat us up for recipe ideas and news from the farm. This means you get more choice than the typical CSA: swap out items you won't eat for stuff you really like. We grow an incredible diversity of vegetables--every week will be different! We even add some farm grown fruit or berries whenever we can (typically about every other week). Add on eggs or flower bouquets for even more diversity. 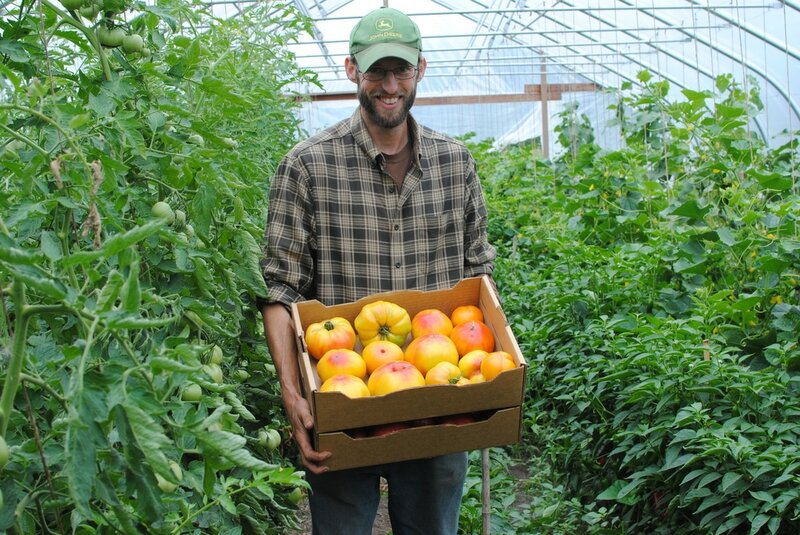 Support a small scale, family farm--your membership makes this all possible! SHARE SIZE: The share is sized for 2 people who cook a few nights a week, or for a small family that doesn't want to be overwhelmed with too much produce. If that sounds like too much, consider sharing your CSA with a friend or neighbor, or signing up for a half share (every other week pickup). EGG SHARES: Our amazing eggs sell out at the farmers markets every week, but vegetable CSA members can reserve a dozen (or more) guaranteed all season long by purchasing an egg share! ​Going out of town? If you can't make it one week, consider having a friend pick up the share for you. They will love you for it! Alternatively, we can give you a one time credit to use at our farmers market stand in Seattle. Email Rawley: earlybirdfarmer@gmail.com with any additional questions. Thanks!